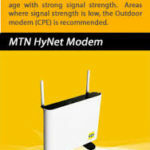 MTN Business is a reliable and dependable supplier of business communication solutions to the Nigeria enterprise market. Offering a suite of Voice, Internet, Data and lot’s more for Small and Medium Enterprises (SMEs) and corporate business owners. 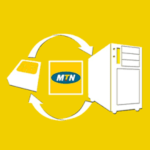 It offers a wide range of business tariff plans, in which MTN Biz Plus and amongst plans is part of. We’ll be focusing on the MTN Biz Plus plan today. So what is MTN Biz Plus? MTN Biz plus is a prepaid plan that gives you access to enjoy better pricing on all MTN Services. 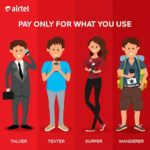 Which includes lower cost on-net GSM Voice, Data and SMS bundles targeted primarily for the SMEs. Although, it is designed mainly for Small and Medium Enterprises(SMEs) regular customers can also use them. For you to enjoy this plan, you’d have to migrate from any of the tariff plans you’re currently using, where you’ll be able to gain more access to incredible plans available on the MTN Biz Plus. Phone calls are made to all networks at 11k/s from the very first minute, no daily charges or 1st minute charge. Free midnight calls (Happy Hours). 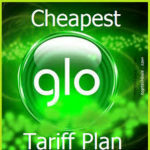 This is the only tariff plan on MTN that offers free midnight calls. Provides the functionality to share voice minute with your employees/friends in the same service class. 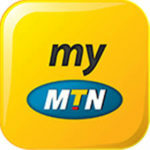 Allows data share to any MTN prepaid subscriber irrespective of whether or not they’re in any MTN business plan or not. You can protect your Data and Voice with a PIN. When you’ve successfully migrated to the MTN Biz Plus plan, you can now subscribe to any of the MTN Biz Plus package you want. 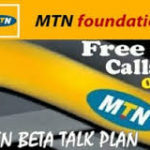 SmartBiz: this is the cheapest plan in the MTN Biz plus plan, it costs just N1,000. It offers: 60 mins(1 hour) of call to any network, 30 free SMS to any network, 100MB data to browse the internet and comes with a ICT Bonus – Business Tips. SmartBiz Plus: This is an upgrade to the SmartBiz plan and it costs N3,000. The distinguishing features is the added minutes, which is 70mins(1hr:10mins) and ICT Bonus (Smart Number). These plans are in three(3) different bundles and are relatively more balanced. The difference they have with other plans is the non availability of ICT Bonus. It has more minutes, free SMS and data than the two previous plans we talked about. To Subscribe Via SMS: send 462 to 131. These plan are more expensive, but with much more benefits than the rest of the plans. They have very unique ICT bonus and are available on two plans alone with different prices, based on your need. Depending on how the big your business is, this plan is very suitable for businesses with a reasonably large amount of Staff and office equipments with access to the internet. Is there any MTN tariff plan that offers 100% bonus on data subscription? I do not know of any that offer 100% bonus. You can however search through the site for the most profitable data plans. The MTN data bundle of 50gb @ 20,000 for 2mths falls under what plan? And does it have data sharing capabilities? How can I transfer from d 50gb? This is the correct mail please. I’m still expecting your reply ma. How to share from the 50g data? How do I check my data balance on this bundle? i want to start selling SME data. how do i go about it?